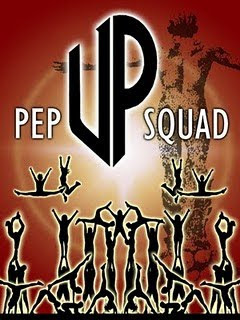 Home » FEU Cheering Squad » UAAP » UAAP 73 » UP Pep Squad » UST Salingawi Dance Troupe » UP Pep Squad back at one! UP Pep Squad back at one! Back with a vengeance? Uh well, it seems that’s the game plan of UP Pep Squad. After its failure for a back-to-back title in last year competition when they only finished third, UP Pep Squad this year started strong with its perfect pyramids and tosses, giving Araneta the atmosphere of pure fun and energy as the crowd of more than 21,000 people cheer for the State U squad as they perform their routines. UP Pep Squad is known for being innovative when it comes to routines as they would always showcase all original stunts each year of competitions. And speaking of innovation and originality, the most applauded part of the routines when three of their members executed a series of tumbling that each ended on the top of a pyramid. It’s a new stunt and it could win the best stunts award if there such category for that. This year’s win is the sixth for UP Pep Squad after winning 1999, 2000, 2001, 2007 and 2008 championships. Defending champion FEU Tamaraw with a Chinese warrior inspired routines came in second place while UST Salingawi Dance Troupe, the eight times champion bounced back at number three after failing a place in last year competition. UAAP Cheerdance competition is one the most anticipated events of UAAP that every member’s school is looking forward to. UP Pep Squad will be receiving 340,000 pesos and a Samsung Champ cellphone for each member, 1st runner-up FEU Tamaraw goes home with 200,000 and 2nd runner-up UST Salinggawi Dance Troupe with 150,000. Nikka De Dios of DLSU was named Samsung Stunner. And to the UE Pep Squad congrats na din, talo na naman kayo waah.